Funeral hymns are usually included in a service when a loved one dies. Eco caskets are the earth friendly, natural way to contribute to the cycle of life. Made of a variety of materials, eco caskets will decompose fully and quickly in the final ultimate recycling venture. Are you wondering how to buy a metal casket? Most people don't give much thought to purchasing a burial container until they are planning the funeral of a loved one. A metal casket is just one of the options available. Attending a funeral can be stressful, and your outfit shouldn't be an additional stressor. Most of the time black is most appropriate, given the somber occasion of the matter, however, not all black outfits are created equal. 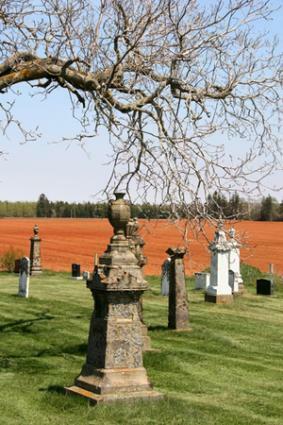 Grave blankets are customary headstone coverings that are typically used during winter months and holidays. The cemetery arrangements cover a portion or most of the plot and are highlighted with a series of holiday-themed ribbons or flowers. You've probably heard of caskets made of pine and hardwoods such as maple or oak, but an ash coffin is another option. Learn about this type of casket's most desirable features, how it's made, and where to find one. Baby bereavement gown patterns are available for those who wish to bury an infant in something handmade and special. Also known as angel gown patterns, they can be sewn or knitted. When a loved one dies, most workplaces give time off with bereavement pay. There is no statutory right for you to be paid during this time off and it will depend on your company's policies. Eco-friendly or green coffins are made from natural sustainable materials that are biodegradable. They will not harm the environment as they decompose and no toxins will be released into the earth. Firefighter funeral traditions show our deep gratitude and respect for the honorable contribution they make to society. When a firefighter dies, he is considered a "fallen hero," and his funeral will indicate such an honor. Like many other things in life, it's important to know proper funeral etiquette. There is a certain protocol to follow before, during and after the funeral and burial, especially if the deceased person was of a specific culture or religion. When a loved one dies, planning a service will most likely include funeral readings. When it comes to selecting an outdoor urn fountain, there is a wide variety from which to choose. Urn fountains are becoming more popular in gardens, on patios and in sanctuaries of remembrance. Should Cemeteries Be Open 24 Hours? Should cemeteries be open round the clock or close their gates at sundown? Let us know whether you think people should be able to visit their loved one's grave site or cremains any time they want. What are your burial plans? Have you made plans for your burial after you die? Answer this poll and see how many others chose a traditional burial, a cremation, a green burial, or haven't made any plans at all. It may be one of the most difficult things to think about, but buying a Walmart casket may save you time and money. It's worth comparing cost and quality of Walmart coffins to those offered from other sources. Choosing a loved one's final physical resting place is not an easy task. Of course, if specific instructions were left in a will or other legal document, then the choice is easy. But if the person's death is sudden and burial plans were not outlined, then you have to make a big decision in a very short amount of time. At Burial and Cremation, we will highlight different options available for both of these methods. While some cultures forbid having their people cremated, in other parts of the world, that may be the most logical choice.